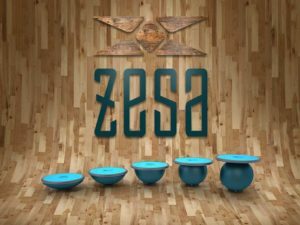 Pro sports teams are constantly seeking ways to hone their competitive edge, so it’s no surprise they’re embracing the ZeSa Fitness program. NFL, NBA, MLB and WNBA teams have been among the first to implement training with our revolutionary ZeSa Activators. Pro team coaches and trainers have long understood the importance of balance training. They’ve tried many of the instability and balance products on the market that focus on two planes of movement: side-to-side and back-and-forth. But ZeSa Activators are the first to incorporate the critical third plane of movement: rotation. Whether it’s a running back cutting sideways on turf or a power forward pivoting in the paint, pro athletes need training in all three planes of movement to build strength and prevent injury. ZeSa Activators recruit all muscles, including the secondary and tertiary ones that support the primary muscles. When all muscles are trained and activated, athletes are less likely to suffer injury and take less time to recover if they are injured. By incorporating the critical rotational plane of movement into training, ZeSa Activators mimic how the human body naturally moves—particularly in high-intensity settings like game day for a pro team. Any exercise that can be done on a flat surface can be done on ZeSa Activators. The instability of the Activators amplifies the effects of each movement, which is important in pushing elite, professional athletes to their peak performance. ZeSa Activators come in a series of escalating heights and sizes, providing progressively more difficult workouts. This gives the world’s most elite athletes unlimited possibilities for fine-tuning their bodies. Ready to up your game to an elite level? Check out a ZeSa Fitness class, order a set of ZeSa Activators today,or contact us for more information or to set up a presentation for your coaches and trainers.